Today, few people know his name. But back in the 1870-1880s, everyone in Alpine County and most of nearby Carson Valley knew mining promoter Lewis Chalmers. And whether they loved him or hated him, everyone had an opinion. 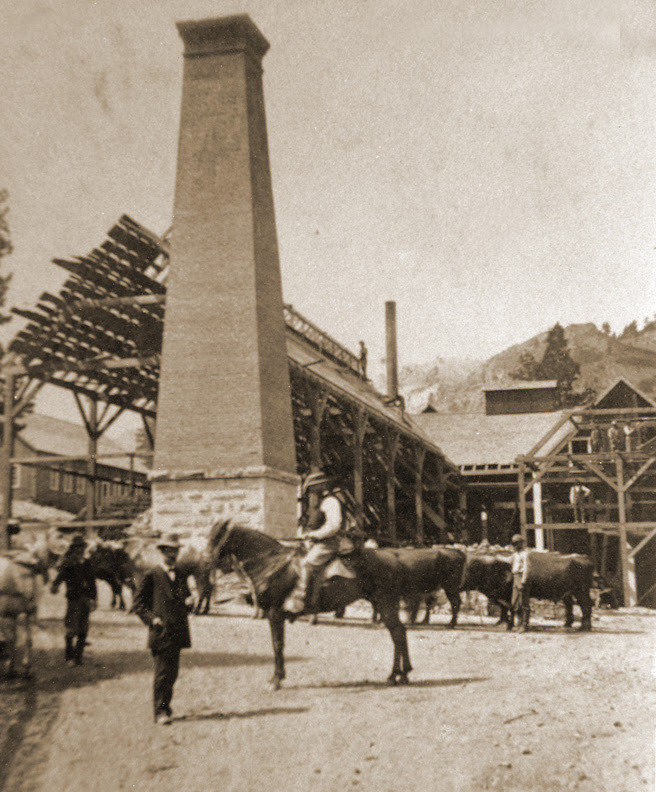 Chalmers on a horse, during construction of the Exchequer Mill near Chalmers Mansion. The brick chimney still stands. (Photo courtesy of Alpine County Historical Society). Son of a wealthy Scottish family, Chalmers was raised among the movers and shakers of Fraserburgh. His father and grandfather had each served in turn as the local baillie (chief magistrate) for the town, and his family was highly influential in civic affairs. Trained as a lawyer, Lewis took over as baillie when his father died in 1850. By the early 1860s Chalmers had secured a cushy post for himself as “factor” for Lord Saltoun, managing the nobleman’s estate and finances. But that good fortune soon evaporated — along with a good bit of Lewis’s inheritance. Chalmers, it seems, was feathering his own nest a bit too freely with his employer’s money. In 1864, Lord Saltoun sent him packing. Chalmers was forced to leave Scotland in disgrace. Down on his fortunes and with seven children to feed, he moved to London and took a position with an investment firm, where he began studying assaying. 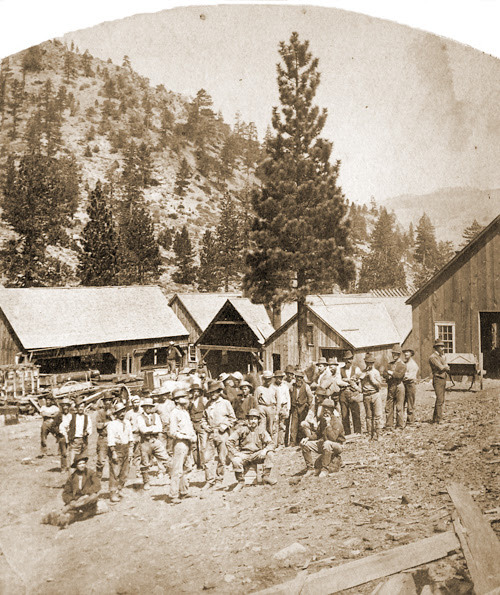 News of the recent strikes in the Comstock Lode was dazzling British investors. Chalmers’ new employers acquired the rights to a mine called the Michigan Tunnel in Alpine County, and in 1867 sent Chalmers to oversee their highly speculative investment. Now 42 years old, Chalmers must have had high hopes indeed as he set sail from Liverpool on September 11, 1867 for his new post. But when he finally arrived in the rough mining camp the foot of Monitor Canyon, it must have been a bit of a culture shock. Chalmers settled in as best he could to make himself comfortable in this wild, untamed country. He halted all work in the tunnel until his workmen could build him a comfortable house, complete with assay office. He hired a housekeeper. (Mining camp or no, Chalmers wasn’t about to do his own cleaning.) And he ordered a few basic supplies, including ivory-handled knives, wine glasses and decanters, and kegs of good Scotch whiskey. Work on the Michigan Tunnel aka Imperial Silver Quarries continued for the next two years. Despite successfully pushing the hard-rock tunnel 1,406 feet into Mount America, Chalmers never stumbled across any worthwhile ore. Investors in London became harder and harder to come by and eventually, the Imperial’s finances cratered. 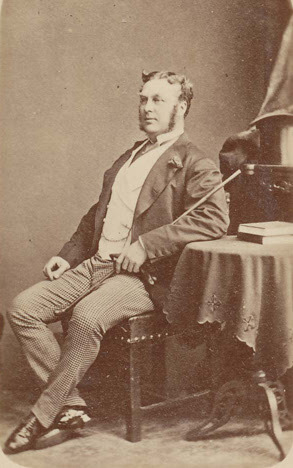 Lord Poulett, one of Chalmers’ influential friends in London, who helped secure investors for the Alpine County mines through his wealthy connections. (Courtesy of Alpine Co. Historical Society). Undeterred, Chalmers slogged on. He acquired title to additional mines in Scandinavian Canyon, and doggedly pursued one mining venture after another — all financed through his influential contacts in London and their gullible friends. For nearly twenty years, hopeful overseas investors poured funds into one Alpine mining venture after another. Chalmers married his latest housekeeper and had two more children born here in Alpine County. But happiness — and a return of fortune — were not to be his. He departed for London about 1885, ostensibly to raise fresh capital for the mines. He never returned. They say his wife walked down the road every day to the big tree where the stage used to stop, hoping each time that Chalmers was coming home. He never did. Lewis Chalmers died in London in January, 1904 of “heart complaint.” But he left an amazing legacy behind in Alpine County. Thanks in large part to the steady influx of British capital he wangled to support the local mines (and local jobs), the newly-minted county was able to survive its formative years. And Chalmers left behind his own rich legacy as well in the form of nearly 20 letter-books, packed with details about the day-to-day operation of his mines. It’s an incredible wealth of data for historians and researchers. Lewis Chalmers has been gone, now, for more than a century. But now you know his story. We hope you’ll help keep his memory alive. Top image is thought to be a portrait of Lewis Chalmers, although we’re not 100% positive. It was found in a photo album donated by the Arnot family, directly opposite the image of Lord Poulett. Photo courtesy of Alpine County Historical Society.